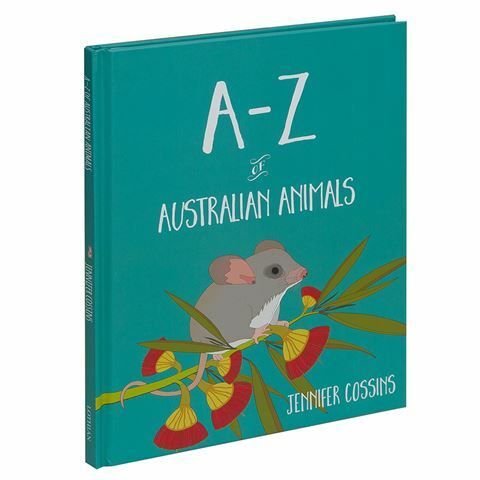 Take a fun-filled ride from A to Z with the A-Z Australian Animal book. Jam-packed with playful illustrations of animals by Jennifer Cossins, this book contains twenty-six different alphabets, one for each letter. Whether your sons and daughters have a love for animals, a thirst for all things encyclopaedic, or even a burning passion for art, this book will take their minds to a whole new place. This exquisite book is filled with colour and interesting facts of all the different Australian animals, giving your child the opportunity to gain interest in the world around us. On this expedition through the alphabet, your children will encounter some of the most rare and special animals in Australia. Starting from the Azure Kingfisher, the Mulga Parrot, all the way to the Zebra Finch. Written and illustrated by Jennifer Cossins. Aimed for young children in primary school. Features encyclopaedic information on the animals. Teaches children the alphabet and the animals. Intriguing and vibrant illustrations of animals make the learning process easy and fun. Comes with a poster of all the animals in alphabetical order. Dimensions: 20cm (l) x 24.5cm (h) x 1cm (w).